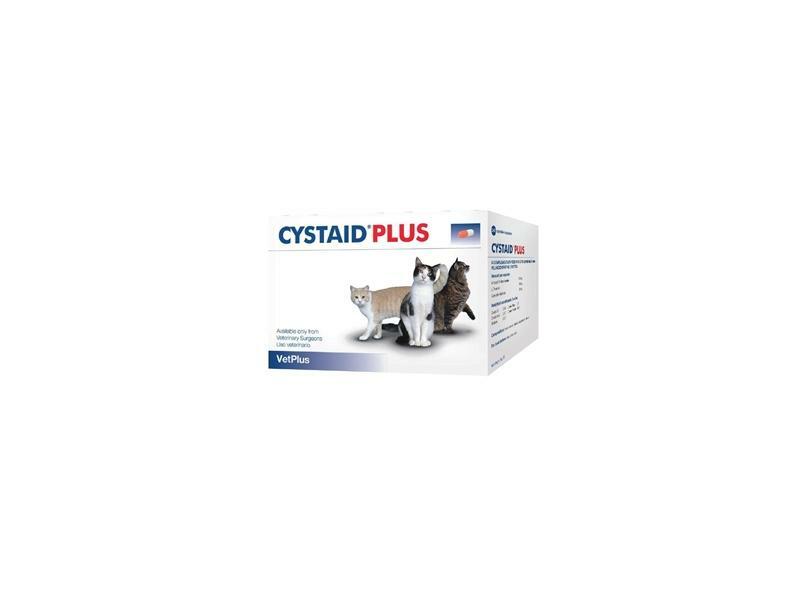 Cystaid Plus Capsules for Cats are a supplement designed to support the bladder. The improved Cystaid Plus capsules now also contain L-Theanine and Quercetin dihydrate, along with 125mg of Glucosamine, so contain the main constituent of the protective lining on the inside of the bladder. Always ensure ample access to fresh water. 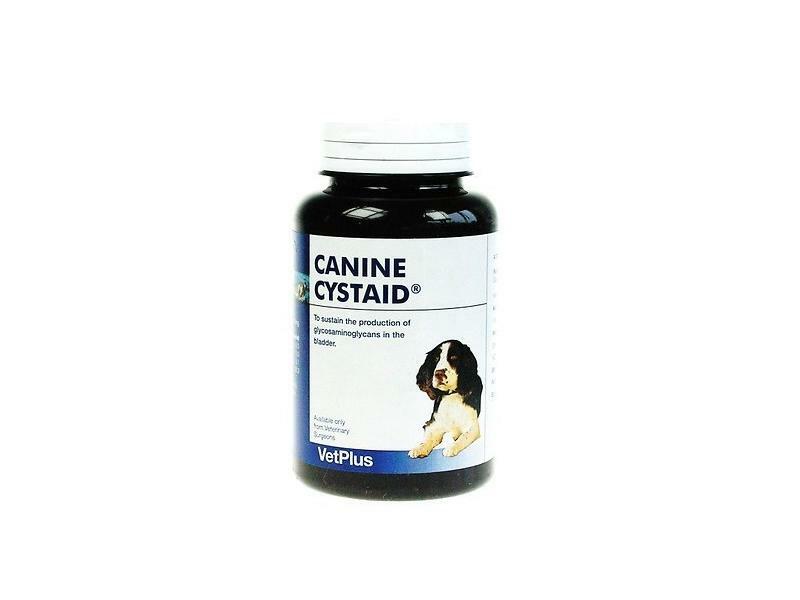 Canine Cystaid Capsules are an effective product designed to encourage bladder health in your pets. It is recommended that Canine Cystaid Capsules should be combined with increased water intake by switching to a wet-food diet. Cystaid can be administered whole or broken and sprinkled onto moist food. Canine Cystaid contains 500mg of glucosamine. 1 capsule daily per 10kg bodyweight for 3 - 4 weeks. For recurring cases 1 capsule per 10kg bodyweight every other day. Below are some recent questions we've received regarding Cystaid Capsules for Dogs & Cats, including answers from our team. What to expect from this med? She needs to see a vet. Possibly she has not picked up a urinary tract infection, or she may have physical difficulty in passing urine. The infection is most likely and antibiotics might be appropriate, but she should go to your vet. My dogs are taking Urinaid for several months so far. But, as one of them is suffering for cystitis, I'd like to feed him Cystaid Capsules instead of Urinaid or both. So, I want to check whether it would be ok my dogs are taking both Cystaid Capsules & Urinaid at the same time. These two products work in different ways to try and help maintain a healthy urinary tract. Different dogs respond differently to these sorts of things, so it is not possible to say for certain how much they will help, but they might well prove to be useful and they are safe to try. They will not cause any problems if used together. I have a 4 year old female St Bernard who has cystitis she is 62 kilos would these help and what dose would I have to give her please. The Cystaid for Dogs might well help, though cystitis is a complex condition and lots of factors can be involved. It is worth using if your dog does keep getting cystitis. The dose for you dog would be 6 capsules per day for 4 weeks, then 3 capsules every day. Cystitis is always less likely to occur if the urine is dilute, rather than concentrated. Therefore your dog will probably do better if she takes in lots of water. Most vets would say that a wet diet, not including any dried food, would also be a great help. Making sure your dog does not get fat and encouraging regular, gentle exercise will probably help too. It helps if the bladder is emptied quite often, which is more likely to happen if your dog is moving around outdoors than resting on the carpet. Is cystaid still available? Or just cystaid plus? Feline Cystaid has been discontinued and changed to Cystaid Plus. The difference is Cystaid Plus now contains Quercetin and L-Theanine which are known for their calming properties. They help to reduce stress behaviour in cats.